Miami's malls are getting into the holiday spirit, and the shopping crowds are following. With the rush as Christmas in Miami approaches, all the malls have special extended hours to help you scoop up gifts for family and friends. There are also several fun activities at the malls that can make for a great family outing. 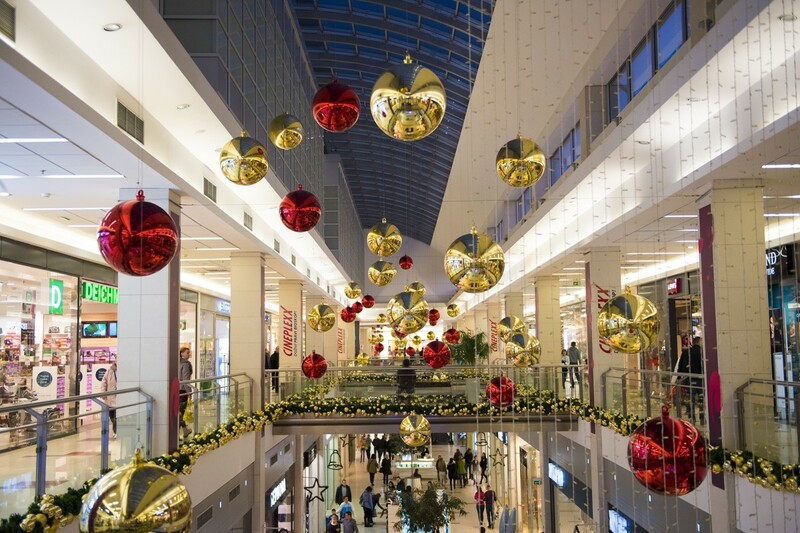 Make sure you check out these up-to-date holiday hours and events for malls in Miami! Saturday, December 1: 9 a.m. - 11 p.m.
Sunday, December 2: 10 a.m. - 9 p.m.
Monday, December 3 - Wednesday, December 5: 9:30 a.m. - 9:30 p.m.
Thursday, December 6: 9:30 a.m. - 10 p.m.
Friday, December 7 - Saturday, December 8: 9 a.m. - 11:00 p.m.
Sunday, December 9: 9 a.m. - 9 p.m.
Monday, December 10 - Thursday, December 13: 9 a.m. - 10 p.m.
Friday, December 14: 9 a.m. - 11 p.m.
Saturday, December 15: 8 a.m. - 10 p.m.
Sunday, December 16 - Wednesday, December 19: 9 a.m. - 11 p.m.
Thursday, December 20: 8 a.m. - 11 p.m.
Friday, December 21 - Saturday, December 22: 8 a.m. - 11:59 p.m.
Saturday, December 23: 7 a.m. - 11 p.m.
Monday, December 24: 7 a.m. - 6 p.m.
Santa will be visiting Dadeland Mall each day through Christmas Eve. Most days, he's available for photos from 11 a.m. to 8 p.m., but from December 17-23, he'll be available to hear all your Christmas wishes from 9 a.m. to 9 p.m. The mall is also hosting several special events with Santa throughout December. On December 2 from 9-11 a.m., they're making special accommodations for children with sensory, physical, or other developmental needs through their Caring Santa program. From 4-6 p.m. on December 4, celebrate National Cookie Day with Santa at Dadeland Mall. At the Fashion Wing near Tesla, there will be cookies, story time, and face painting for the kids. Following Cookies with Santa, there will be a special performance by the Senior dancers from Ballet at the Park Dance Studio of Waltz of the Snowflakes from The Nutcracker ballet. Pet lovers can bring their four-legged friends to get pictures with Santa on December 9 from 7-9 p.m. One other photo opportunity exists for those in love with ugly sweaters! The mall will host all-day Santa photo sessions on December 13 and on National Ugly Sweater day, December 21. Everyone is encouraged to pull their wackiest holiday sweater out of the closet to meet Jolly Ol' St. Nick. The Dadeland Mall is also celebrating Chanukah on December 2. Light Up the Night! takes place at 5:30 p.m. and features kids entertainment, live music, donuts, latkes, and Chanukah gifts. Saturday, December 1: 10 a.m. - 9:30 p.m.
Sunday, December 2: 11 a.m. - 8 p.m.
Monday, December 3 - Saturday, December 8: 10 a.m. - 9:30 p.m.
Sunday, December 9: 11 a.m. - 8 p.m.
Monday, December 10 - Saturday, December 15: 10 a.m. - 9:30 p.m.
Sunday, December 16: 11 a.m. - 8 p.m.
Monday, December 17 - Thursday, December 20: 10 a.m. - 10 p.m.
Friday, December 21 - Sunday, December 23: 10 a.m. - 11 p.m.
Monday, December 24: 9 a.m. - 6 p.m. Kids are welcome to join Santa's Crew at the Dolphin Mall's Santa's Flight Academy. The fun goes on each day through Christmas Eve, and your young ones can come to get a personalized Cadet Badge, try on a virtual flight suit, and dance in the snow in addition to their visit with the big fella! On December 5 and December 12, owners can bring their pets out for photos with Santa from 7:30-9 p.m. Children with special needs can visit Santa and participate in a private photo session on December 9. Santa is also hosting breakfast at Dave & Buster's ​in the mall on December 15. Come out from 11 a.m. to 2 p.m. and, for $23.49, enjoy a breakfast bar and $10 Game Card with unlimited video game play. Sunday, December 2: 8 a.m. - 9 p.m.
Sunday, December 9: 8 a.m. - 9 p.m.
Monday, December 10 - Thursday, December 13: 10 a.m. - 10 p.m.
Friday, December 14 - Saturday, December 15: 9 a.m. - 10 p.m.
Sunday, December 16: 10 a.m. - 10 p.m.
Monday, December 17 - Friday, December 21: 9 a.m. - 10 p.m.
Saturday, December 22 - Sunday, December 23: 9 a.m. - 11 p.m.
Monday, December 24: 8 a.m. - 6 p.m.
Santa is setting up shop through Christmas Eve at the Lower Level of Fountain Court by the Apple Store. Bring your kids out to get photos and also participate in special Santa events like Holiday PJ Day (December 6) and Ugly Sweater Day (December 13). On December 8, Pajamas and PJs will take place from 10-11 a.m. in the Upper Level of the New Wing by Zara. At this event, wear your best holiday pajamas, munch on delicious pancakes, and sing along to music that makes the season so special. Kids of all ages can get into the holiday spirit on December 13 from 10-11 a.m. by taking a ride on the Aventura Mall train. The "All Aboard to Jingle All The Way" event also lets participants build their own model trains and decorate some delicious cookies. Now that you know all the holiday mall hours and events in Miami this year, all you have to do get shopping! Find more ideas for Christmas in Miami at 305area, your free guide for everything happening in Miami.